Conditions: Very cold but very clear. Comments: Shot in the southeast part of my sky - not the best place but far from the worst. You can see the cone and CT cluster as well as NGC2259 - an open cluster in the upper left and NGC2261 - Hubble's Variable Nebula. 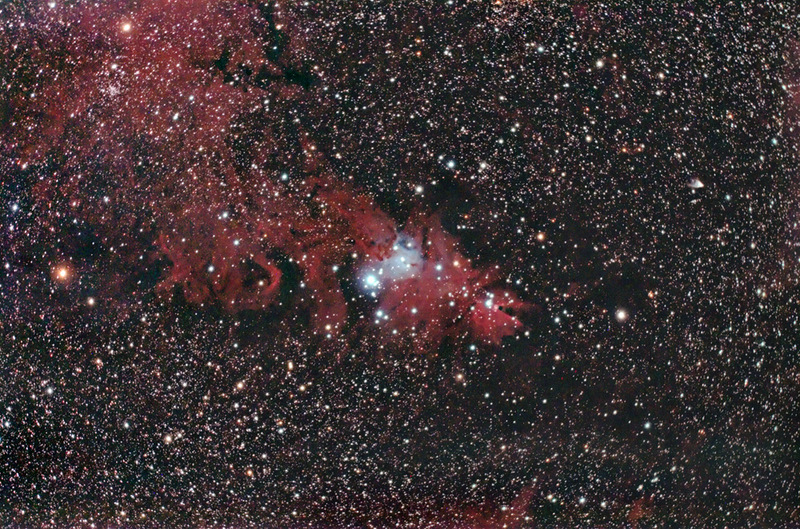 One can also see the "Foxfur" nebula and an interesting dark nebula left of center top.